Shabbat Services are held each Friday evening at 6pm. Attire is easy: Casual to Shabbat "dressy" - JUST COME! All ages are welcome - so bring the kids - or kids, bring the parents! On Saturday, January 26, 2019, Rabbi Judy conducted a "Taste of Judaism" class at the Temple from 1-4 pm. This class is open to anyone in the community who wants to learn more about Judaism, our customs and traditions. The class includes a question and answer time at the end. It is free. If you are interested in attending a future class, please call the Temple office to to let us know. We will be sure to contact you when the next class is scheduled. We hold them approximately once a year. 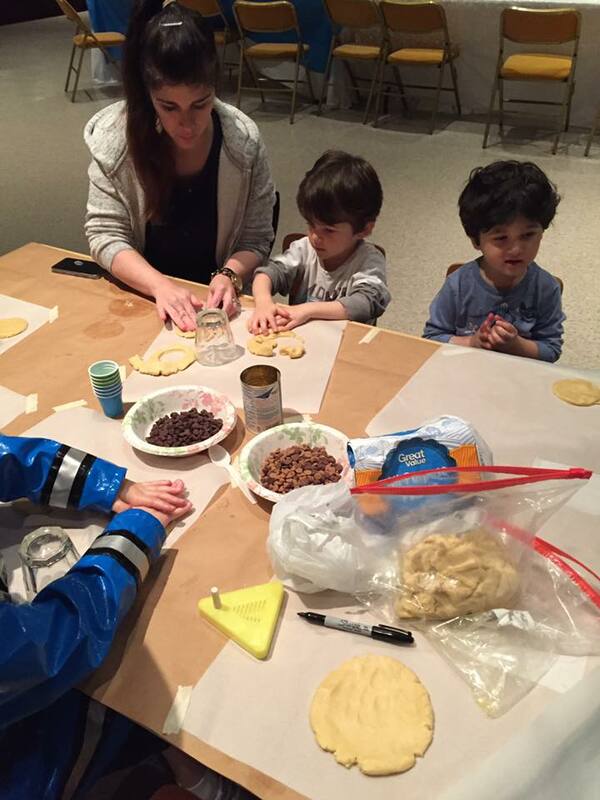 Members of our Tot Shabbat group making hamantaschen during Purim. On Friday, March 10, 2017, we hosted a fun evening of Purim festivities. 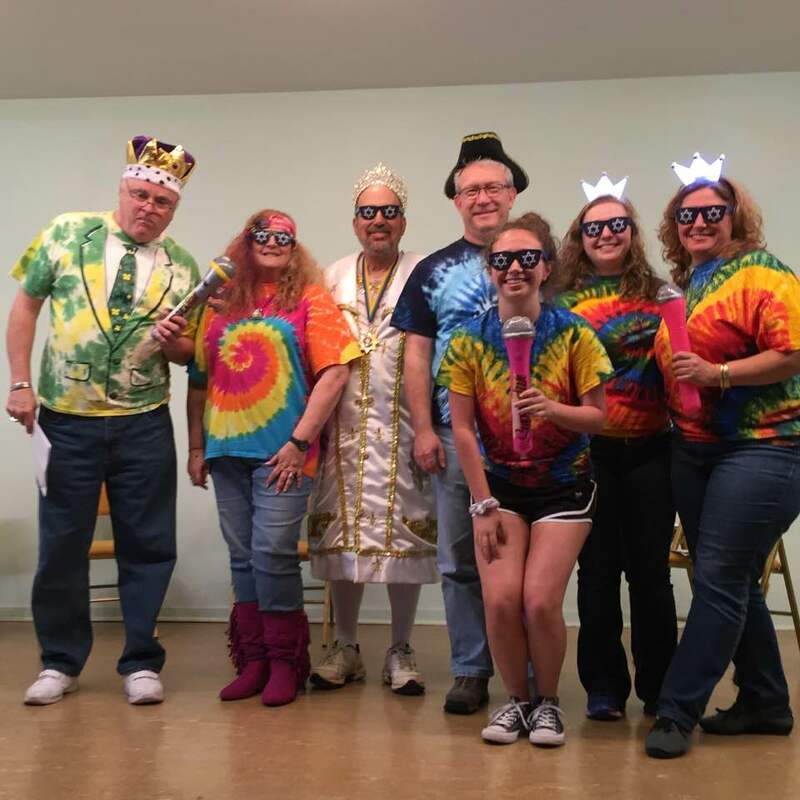 We began with a brief Shabbat service and then presented a Purim Shpiel with a Beatles theme. Many thanks to those who participated in the show: Alan Barth, Bill Levinson, Brianna Roa, Danielle Roa, Deb Roa and John Roa. Everyone had fun and enjoyed singing along to Beatles tunes. Afterwards we enjoyed a pot luck dinner which included tie dye hamantaschen (baked by Rabbi Judy) keeping with the Beatles theme. On Saturday morning, our Tot Shabbat families enjoyed making hamantaschen and singing songs. Michal Hakim and her boys, Joseph and Daniel brought masks and Shaloch Manot boxes to everyone.